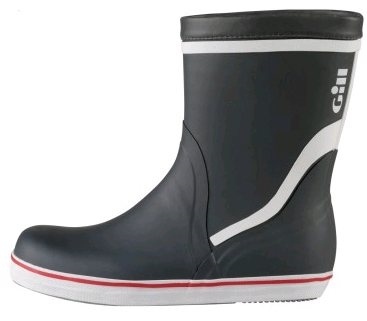 Great little boot to keep feet dry in North sea, hopefully next time needed will be way off. they do the job. Good comfortable product. easy to get on & off. Under waterproof trousers I do not feel the need for longer boots. My husband has been wearing these Short Boots since his sailing days and he now will wear nothing else for pottering in the garden. Also as you get older they are easier to get on and off. This time we have bought half a size larger so he can get really warm socks on in them. Really good value boots. Waterproof and warm in winter with thick socks.